Fantastic news! Our already, award-winning, sommelier and mixologist, Sr. Jose Antonio Pino Fontalba – otherwise known as ‘Pino’, has done it again!! 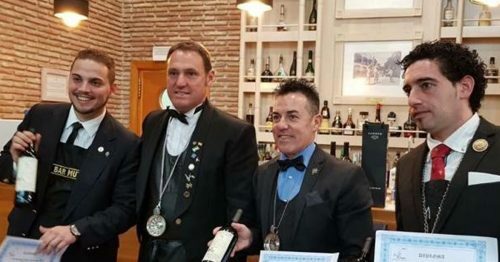 He’s won the most prestigious ‘Concurso Mejor Sumiller de Málaga’ (Best Sommelier Competition in Málaga) Award!! Home » Blog » Pino Wins Again! If you’re a regular guest at El Oceano, we’re sure you’ll know Pino! 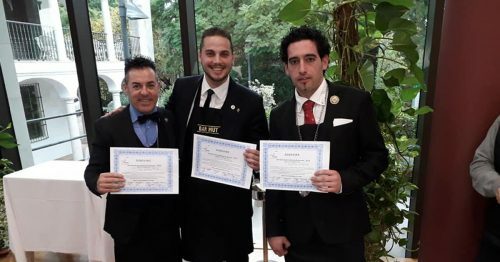 His expertise as head sommelier and cocktail creator has made him something of a legend – and now, for the second time, his knowledge and skill has been officially recognised, again, as the true ‘wine genius’ he is!! An annual event, organised by the Sommeliers Association of Restaurants and Hotels in the province of Málaga, this is indeed a prestigious award and real recognition of the high quality and professionalism of our Pino! Of course, we are so happy for Pino and pass our sincere congratulations to him! Excellent, Pino! 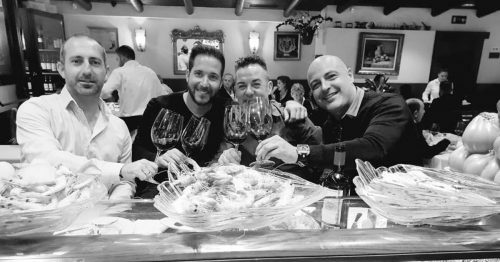 If you have yet to meet Pino, he’s one of the friendliest, most knowledgeable and most professional sommeliers we’ve witnessed, in all our years of bringing great wines to our clients! And not just wines… no, no! Pino is one expert ‘mixologist’, serving up the most amazing cocktails, classics and his own creations! Pino know what he’s doing! 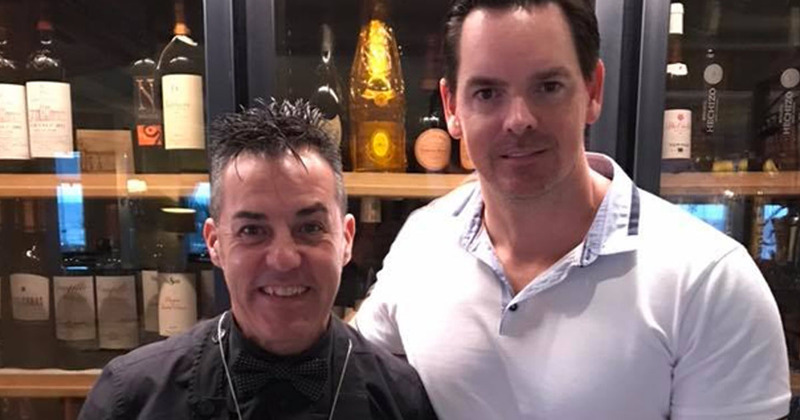 Always a happy expression, always the right advice for the right bottle of fine wine, Pino is a great guy to have around when you need a bottle of vino!! Not only do we have an excellent wine menu but also the most professional team to guide you with your selection! Book your Table at El Oceano Today! The competition is, “of great difficulty, which requires knowledge and also a lot of temperance and serenity”. The participants face several tests, before a jury formed by a score of people. The first one is of theoretical content, with questions about types of wines, liquors, cheeses, cigars, even gourmet food, such as ham or pâté, both national and international. Then they have to carry out a blind tasting of white and red wine. The three finalists pass other tests, such as new tastings, distillate tests, tasting, a language test, a uniform test, an erroneous letter table (a wine list with vintages or bad names that have to be discovered) and finally a decanting test. El Oceano Beach Hotel, Restaurant & Beauty Salon between Marbella and La Cala de Mijas: Pino Wins Again!